Martin Friedel was born in Germany. Migrating to Australia, his family settled in a remote sawmill community in Victoria. A Daffyd Lewis Scholarship led to Melbourne University, an honours degree in physics and mathematics and a PhD in chemistry, piano studies with Victor Stephenson and, later, conducting with Robert Rosen. He turned to music in the 1970s and has supported an independent existence through composition across a wide range of form and genre. Friedel has composed and directed music for theatre productions at major Australian companies; the legendary Australian Performing Group, MTC, Playbox (now Malthouse) and others, collaborating with notable Australian writers such as Jack Hibberd and Frank Hardy. In 1981, a Fellowship from the Australia Council led to a residency at the fabled Berliner Ensemble in East Berlin. Between 1989 and 2006 he created scores for more than 50 films, commissioned by Australian and international organisations including the ABC, BBC, and the Paris-based production company Les Films D'Ici. His work was recognised by an Emmy, 'Best Score' at the New York and Chicago Film Festivals, and two AACTA nominations. His six chamber operas include South of North,(International Music Theatre Workshop, Munich,1986), FOXY (winner of the Australian One Act Opera Competition, 1990), Seduction of a General (1992 Adelaide Festival) and Sweet and Bitter Conversations (Edinburgh Festival 1997). 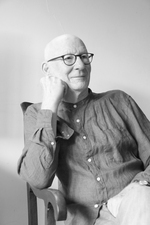 Many of his compositions have been commissioned and premiered by Melbourne based Astra, including four large-scale cantatas, based on themes from science: Conversations before the Silence (1990), The Third Planet (1995), Cities of the Mind (2003 - winner of the innaugural Potter Commission Prize), and Electric Songs (2005). Recent chamber music includes Airsongs for violin and piano, Invisible Landscapes for piano and instrumental sextet, and Walk (2012) with the noted spoken word poet TT.O., from his epic 24 Hours. As Creative Fellow at the State Library of Victoria (2005) he researched Melbourne low-life for his cantata Underworld Songs (Astra 2013). His collection of piano pieces, The School of Natural Philosophy, was recorded by Michael Kieran Harvey and is released on the MOVE label. A longtime involvement in beekeeping led to Dance of the Bee: Interspecies performance and installation for multiple pianos, choir, a bee swarm in a transparent hive with live video and audio (ASTRA 2015 - with Michael Kieran Harvey). With cinematographer Simon Carroll, he created History of a Day, a multi-screen audiovisual installation, commissioned and premiered by ACMI (2005) and exhibited at Samstag Gallery in Adelaide and elsewhere. Airsongs : for violin and piano (2009) Commissioned by Miwako Abe. Electric songs : cantata for soloists, choir, theremin, bells and instrumental ensemble (2006) Commissioned by Astra Chamber Music Society. Cities of the mind : Cantata for soloists, choir, string quartet, double bass, percussion and keyboards (2002) The composition and first performance were supported by the Ian Potter Music Commissions. Five songs from the astronauts : for soprano, baritone and instrumental ensemble (1995) Commissioned by the Astra Chamber Music Society as part of the cantata, 'The Third Planet'. Seduction of a general : opera (1991) Seduction of a General was commissioned with funds from the Performing Arts Board of the Australia Council. The first performance was made possible by funds from the Performing Arts Board and the Victorian Ministry of the Arts.